WILLEMSTAD - International Annual Academic Symposium of Avalon -II (IAASA II) was conducted on Saturday, July 21, 2018. Opening remarks were presented by Avalon University's Executive Dean, Dr. Sateesh Arja. 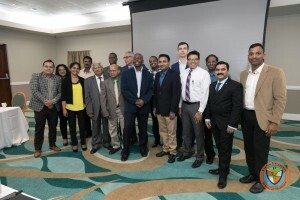 The venue took place at the Hilton Hotel and hosted by the collaborative effort of Organizing Committee IAASA, Avalon students, and distinguished faculty, and physicians. Students did not only orchestrate the event but also participated as presenters or audience members. Topics this year included smoking and lung cancer, pitfalls in asthma diagnosis, pulmonary hypertension and more. 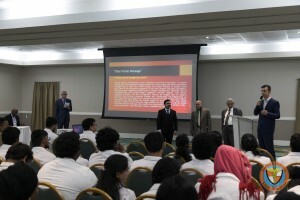 Physicians and Avalon students and faculty presented abstracts and oral presentations. This was a unique opportunity to Avalon students for their personal evaluation of growth and understanding. The event was a testament to the foresight, capability, and drive of Avalon University to ensure their students are always updated and guided towards success!